The clamping module type NSMD has the standard connection pattern nominal size NG 6. It controls power-driven clamping devices, e.g. hydraulically-driven hollow and solid clamping cylinders for automatic lathes. It regulates the clamping pressure and monitors it. The clamping pressure is adjusted at the downstream pressure switch using a manual, mechanical or electrically-proportional adjustment device. A special safety circuit monitors the switching position of the valve. Throttling options in the spool end position and/or rapid and creeping movements are possible as an additional function for one or both consumer ports. The clamping module type NSMD can be combined with other valves as a valve bank type BA to form a valve block. 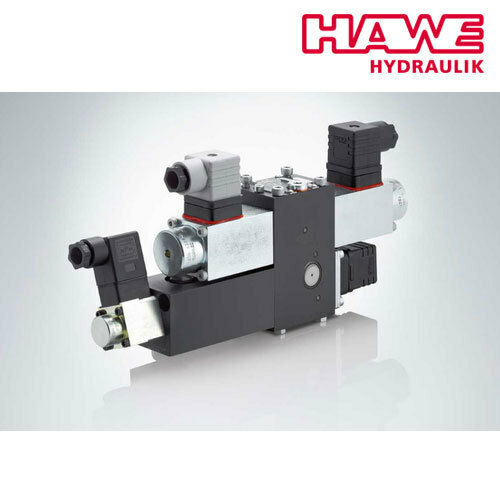 HAWE Hydraulics Pvt. Ltd (HAWE India) based in Bangalore is a fully owned subsidiary of HAWE Hydraulik SE headquartered in Munich, Germany, a leading manufacturer of technologically advanced, high quality hydraulic components and systems. India is a strategic market for HAWE Hydraulik and they have established themselves as a niche supplier in key verticals that have an exciting future in the country such as wind turbines, solar trackers, construction and mining equipment, mobile machine tools. Their state of the art technical competence centre at their manufacturing facility in Yeshwanthpur, Bangalore is well equipped to design, develop, build, test and deliver these customized system engineered hydraulic solutions. HAWE India also manufactures precision machined components at this facility which is being exported to their parent company HAWE Hydraulik SE in Germany since January 2005. Substantial investment is now being made in their in house manufacturing capabilities at Bangalore to expand their product offering to customers in India.